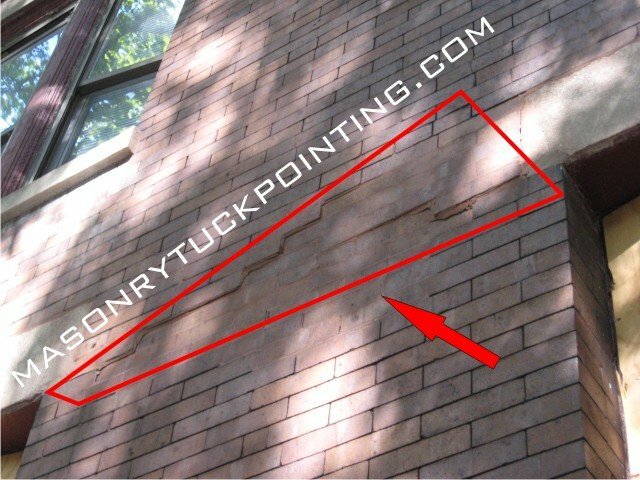 There are a few common conditions responsible for brick deterioration, which eventually lead to brick repair or, more often than not, brick replacement. Aging brick walls are the most common, maintenance of deteriorating brick mortar lines follow, and Chicagoland’s weather, that third culprit, solidifies the problem. Without cold winters, Chicago’s brickwork wouldn’t suffer that much, even if not maintained as it should be on a regular basis (every 2-3 decades under normal conditions). Dealing with brick repairs isn’t that difficult as long as we pay attention to the brickwork and the changes appearing on its surface. You can easily avoid the majority of the problems if you act on time and perform some minor repairs if such are necessary. Exposed brick wall interior allows more water penetration and results in further damage to the structure. Brickwork / brick repair involves partial or complete wall rebuilding which can be decided after a careful assessment of the problem / extent of the brick wall damage. Replacement of all deteriorated bricks is crucial in preventing further spreading of the problem. 1. Problems with uneven settlement of the building’s foundation almost always transfer onto the brick wall, causing cracks and sometimes displacement of its sections. A structural engineer and the foundation contractor involvement is often required if such conditions occur. 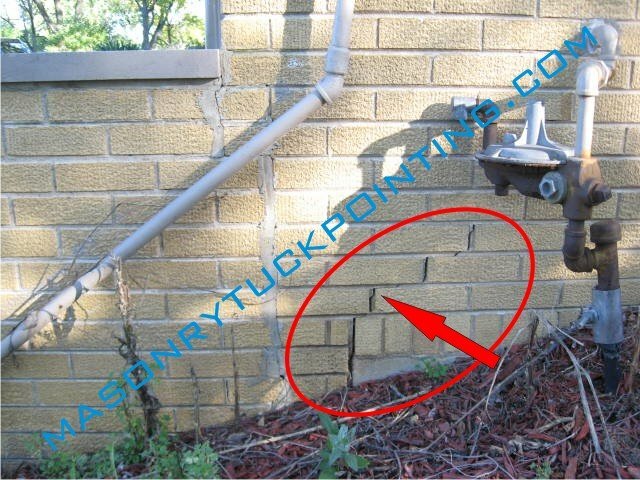 The foundation might need to be stabilized prior to performing any brick repair services. 2. Corroding steel lintels (covered separately on our website) are also responsible for serious brick wall problems. Displacement of several floors in a multi story building, as well as leaning and bulging wall sections, are very common in structures that are even less than 50 years old. 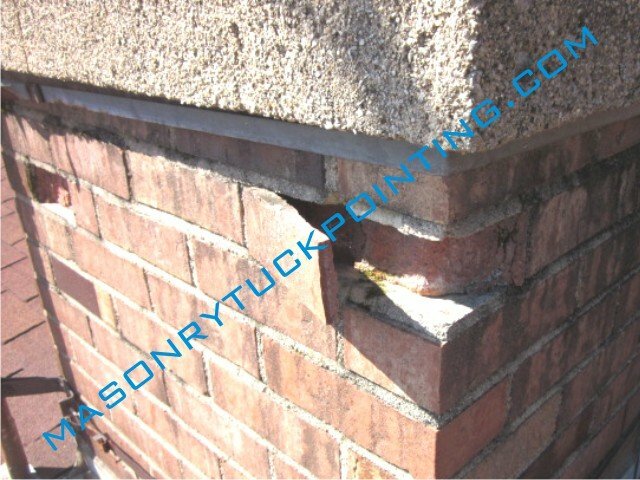 Lintel replacement is not always sufficient and portions of the affected brick wall require complete rebuilding. Do not postpone correcting any small brick wall problems. Our free evaluation, along with a potentially simple and inexpensive Chicago brick repair service, can save you thousands in unnecessary future brickwork repairs and restoration.